There are always risks that come with any surgery, but the risks are very low thanks to the experienced veterinary team here at Ingleside Animal Hospital. 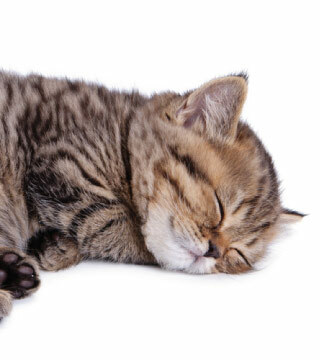 However with proper care and supervision there are virtually no risks of complications due to the use of a cat sedative. Our veterinary staff ensures that risks are minimized by performing careful and consistent monitoring throughout the entire time feline patients are under cat anesthesia. The veterinary team at Ingleside Animal Hospital will continue to monitor your cat’s vital signs, heart rate and blood pressure as it comes out of surgery, awakens from any cat sedatives used and until your cat is ready to return home. Your cat may feel sedated for a period of time after it goes home. Our staff will talk to you about your cat’s pain management plan. Your cat may need pain medication for several days and you will receive specific instructions before your cat is released. If you should have any questions or concerns, please call Ingleside Animal Hospital right away. Some cats may not regain their appetite until they next day. Always follow all instructions given to you by your veterinary team to ensure your cat’s full recovery.